“This is such an incredible achievement for the talented Fresh Living team and their brilliant editor, Justine. We’re very proud of the team for their unwavering hard work and creativity which results in issues packed with food inspiration, practical lifestyle tips, must-have info and of course delicious recipes for the South African family,” commented Lani Carstens, MD of John Brown Media. Fresh Living was first launched in South Africa in 2007 with well-known, inimitable food personality, Justine Drake at the helm. Five years on, she continues to build the titles’ reputation in the industry, offering loyal readers beautifully produced local content and total relevance from cover to cover. While the magazine’s focal point remains fresh food, the revived look (launched earlier this year) also gives readers a peek into Pick n Pay’s extensive product offering. Annually, the PICA Awards recognise and reward those who make publishing their business, combing beautiful images, words, productions and designs to create a product worth of publishing. Hosted by the Magazine Publishers Association of South Africa (MPASA), they acknowledge standards of editorial excellence in the South African magazine industry. In building the Fresh Living brand locally, John Brown Media has employed a 360 degree approach, touching on every aspect of consumer engagement. 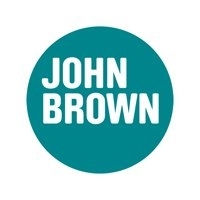 From print to digital, innovation has allowed John Brown Media to extend their offering to include all Pick n Pay staff communication, reader events, the management over the Fresh Living online network and their supplements – which was also recognised for an Award last night. The December issue of Pick n Pay Fresh Living will be available on shelves from 21 November.